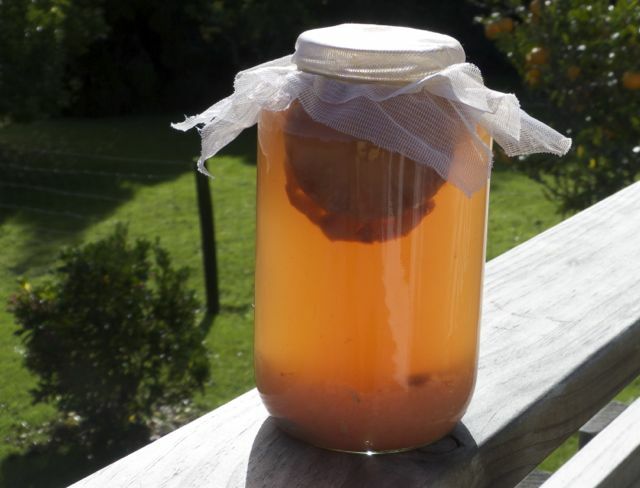 Here is the latest addition to my fermented product offerings. I’m still experimenting with certain variations. So take the recipes here as a launching pad. 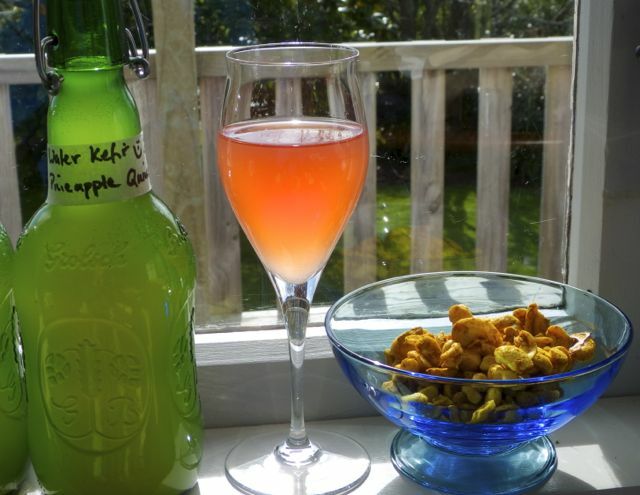 Should you require water kefir crystals/grains to get started please get in touch here. 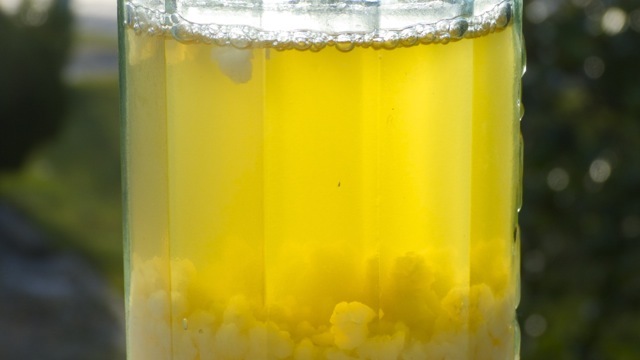 I just received an e-mail from Darlene in the Sacramento, CA area offering to ship live water kefir grains. Anyone on her continent I’m happy to put you in touch for a supply. She will send them all over America. 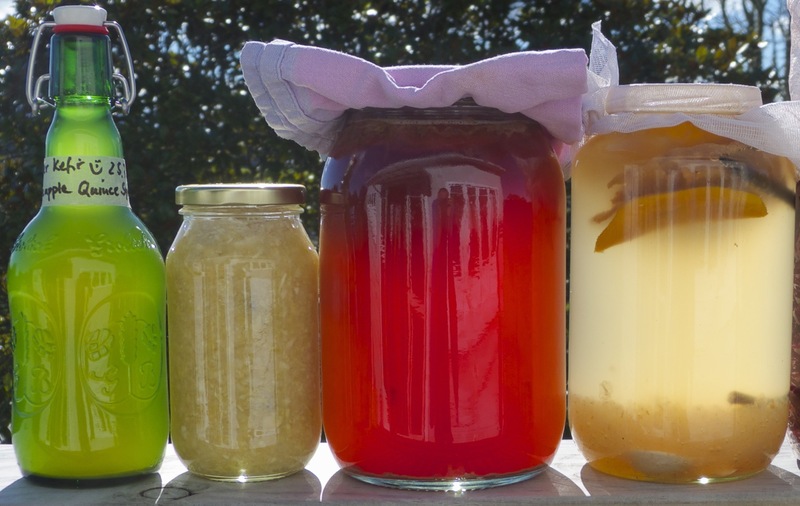 A quick word about sugar based ferments (Water Kefir and Kombucha) – not approved by anyone but common sense. As good as these beverages are in boosting our intestinal happiness and gut flora, they are based on the fermentation of sugar and create not only a rich pro-biotic tonic. 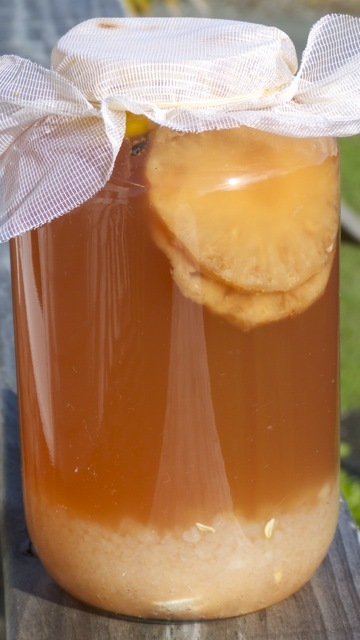 The liquid will also contain sugars and a small amount of alcohol. Dealing with certain dis-eases like cancer, sugar and alcohol are two of the least things you want to consume. Cancer cells feed on sugar!!! I am not a dietitian or badge-wearing nutritionist, use your discerning mind and understanding here. And by all means listen to well-informed people like this one: Jerry Brunetti! 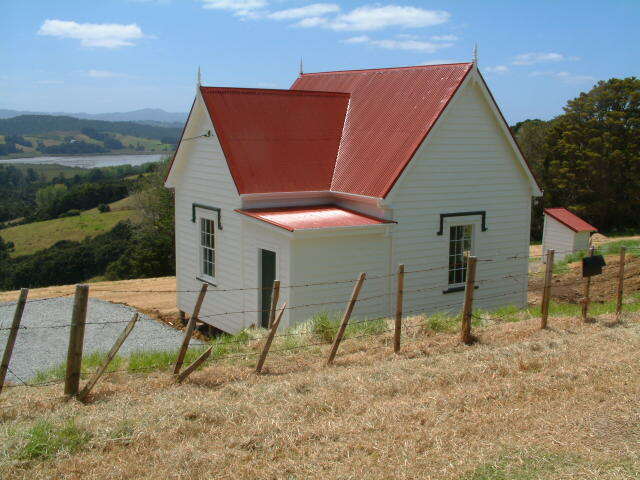 Other easy fermented foods without the use of sugar are Sauerkraut, raw milk yoghurt (get in touch for raw milk sources in Auckland, NZ! 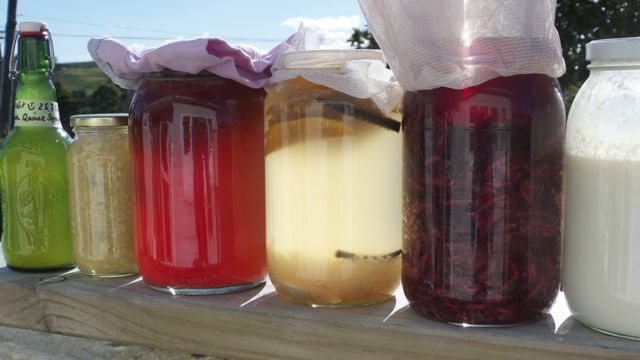 ), milk kefir, cabbage rejuvelac, brined pickles etc. 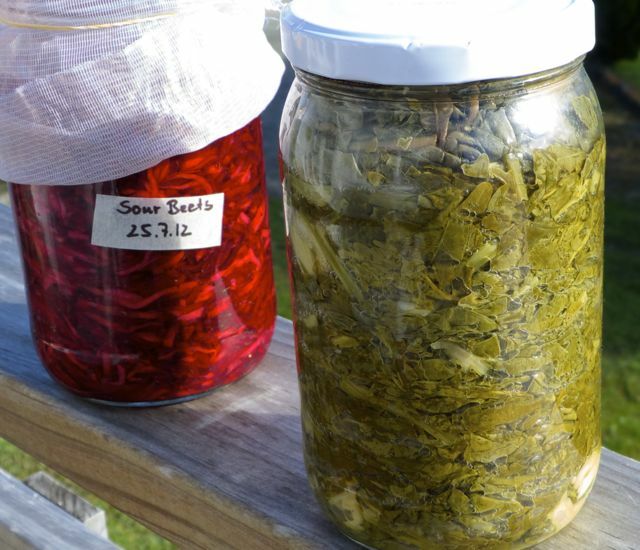 Attend my ‘Fermented Foods’ workshops or pay Sandor Ellix Katz a visit and buy his book ‘Wild Fermentation’! 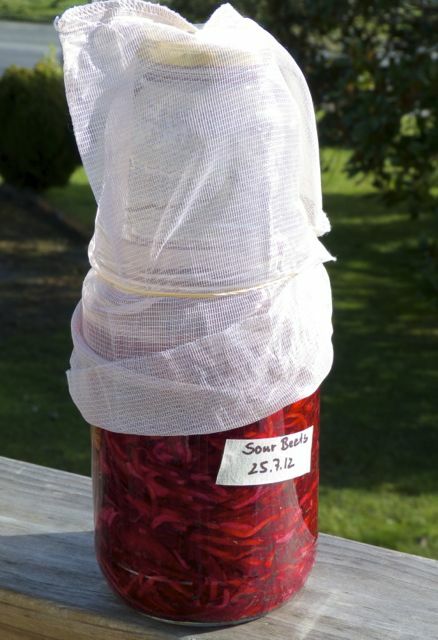 Place all ingredients in a 1.5 liter glass jar. Leave on the bench for 24 hours. 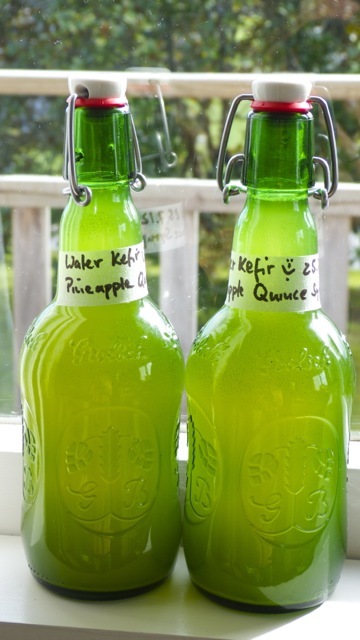 Strain off the fermented water kefir into bottles and leave on the bench for another 24 hours to mature. Serve chilled. Replace the lemon halves with fresh ones. After 2-3 days/cycles replace the fig/apricots. Add new sugar and water for the next cycle. 100 grms (or to taste) fresh ginger sliced. 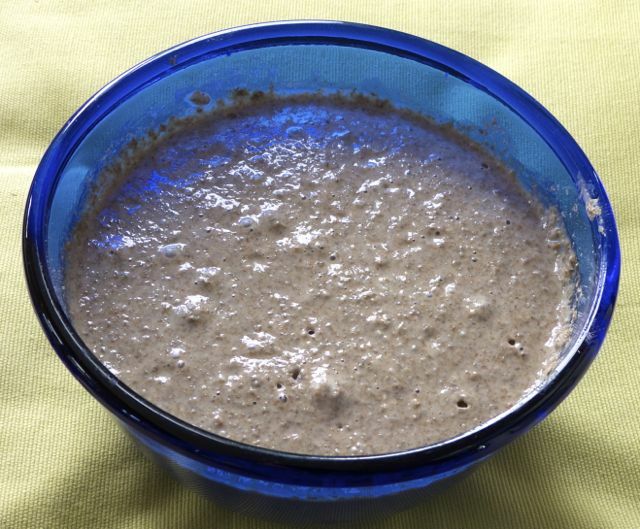 I left it ferment for about 2.5 days before bottling it and the grains have now doubled! I must admit that it’s not my original recipe. I did make adjustments. It originally said a couple of dried figs but I’m not keen on dried fruit. Also a piece of eggshell, which I omitted because it is for minerals but we’re on tank water so I thought that should be enough. Feel free to experiment further. Lee’s cultures definitely proliferate quicker. 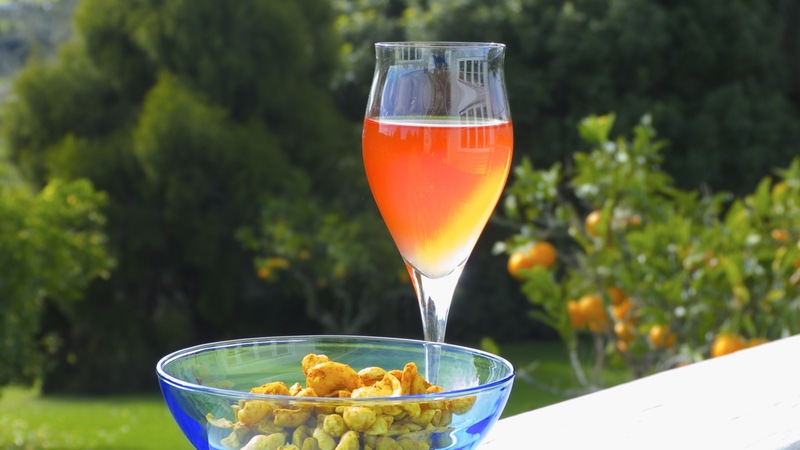 I had a phase when I added exhausted vanilla beans from vanilla essence bottles to the mix, and dried pineapple slices and replace the sugar with my home-made quince and guava syrup (see pictures!) The resulting flavour was marvelous yet the little crystals did not thrive.